Fans of Scott Snyder may recognise his amazing work on Batman with Greg Capullo, but what you might not know is that Snyder also has an impressive resume of horror comics for some of the industry’s best publishers. Titles such as American Vampire and The Wake for Vertigo and Severed for Image comics have cemented Snyder and his various collaborators amongst the comic book world’s best and brightest stars. 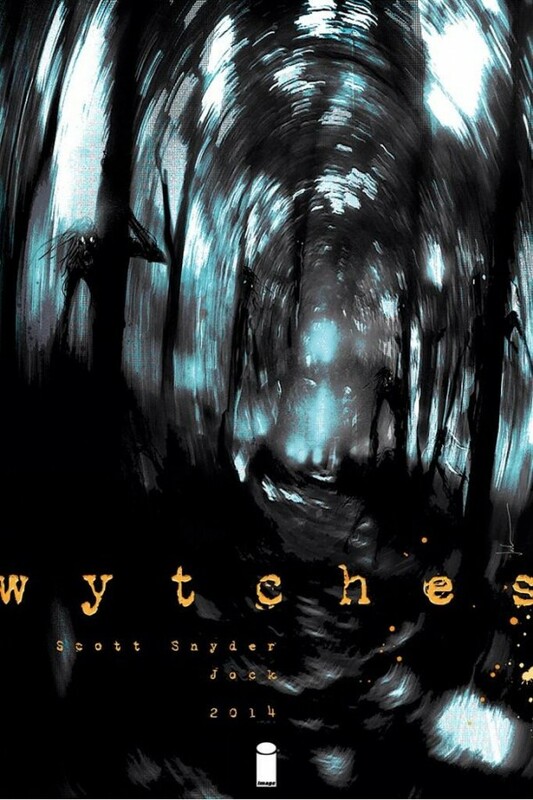 Wytches #1 is no exception. Teaming up once again with super-star artist Jock, whom Snyder has worked with previously on Batman: The Black Mirror for DC Comics, the dynamic duo (pardon the pun) do an amazing job on this first issue. The story follows the Rook family as they move to a new home after being forced out of town due to a horrific tragedy involving their daughter, Sailor. Snyder and Jock do a fantastic job of building the tension around what really happened to Sailor in this issue and the final outcome of her confrontation is something that readers won’t soon forget. Snyder really shows off his prowess at writing good horror in this first issue. There is far more focus on the characters and the world they share rather than the monster that lurks in the periphery of their vision, which only makes it that much more terrifying when the monster is revealed later in the book. Jock should really be commended for his artwork in this first issue. The juxtaposition between the lighter and darker elements of the book transition without effort. I am truly amazed at how easy it is for him to jump from one panel to another and change style and tone on a whim. Parental Concern: High. While the book does have its lighter moments, it is still a horror book and should be treated as such.